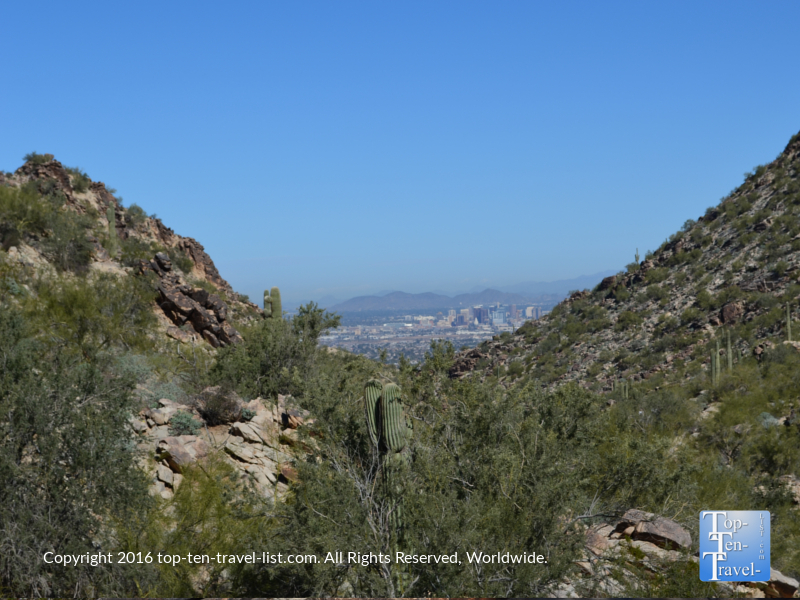 A Beginner's Retreat in the Desert: The Beautiful Kiwanis Trail at South Mountain Park in Phoenix - Top Ten Travel Blog | Our experiences traveling throughout the US. 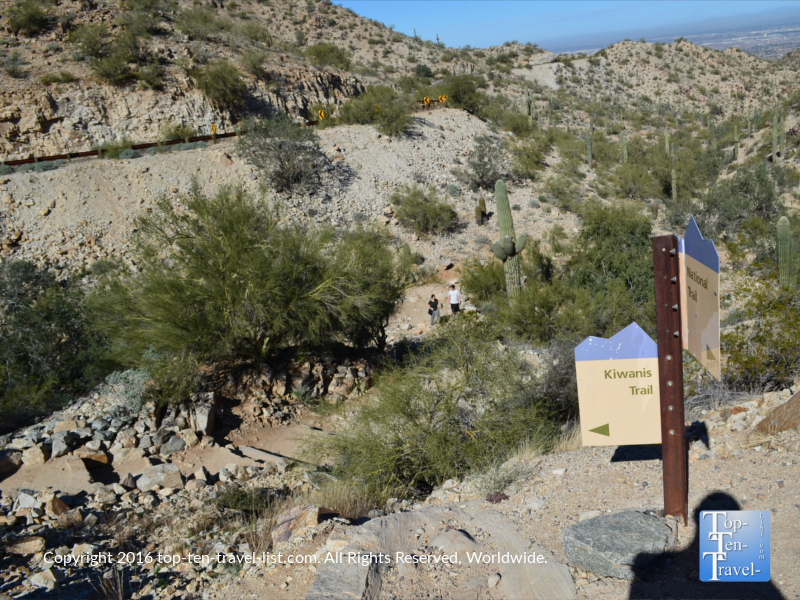 South Mountain Park in Phoenix, one of the largest urban parks in the world, is the place to go hiking and take in peaceful, uninterrupted views of the gorgeous Sonoran desert. With over 50 miles of hiking, biking, and equestrian trails, it would take forever to run out of new, exciting options. 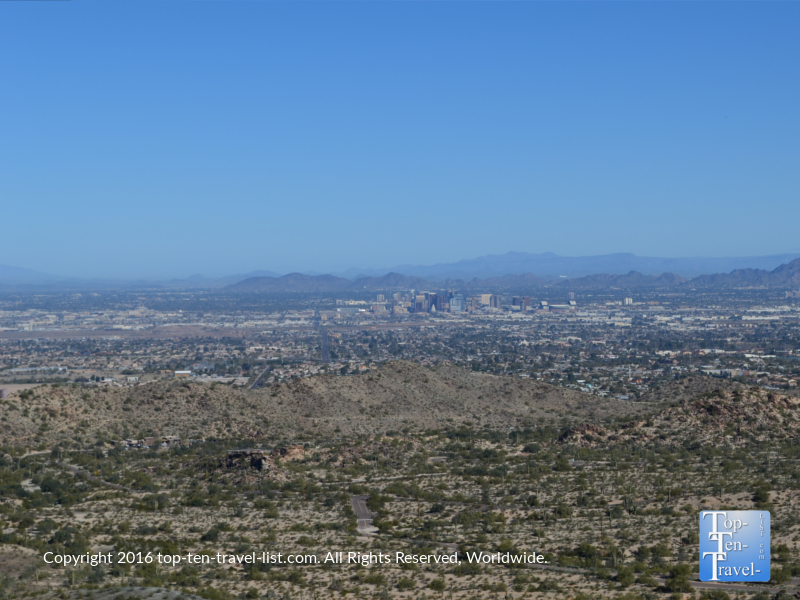 South Mountain is so close to the city, yet you feel so far away once you begin your trek into the desert. 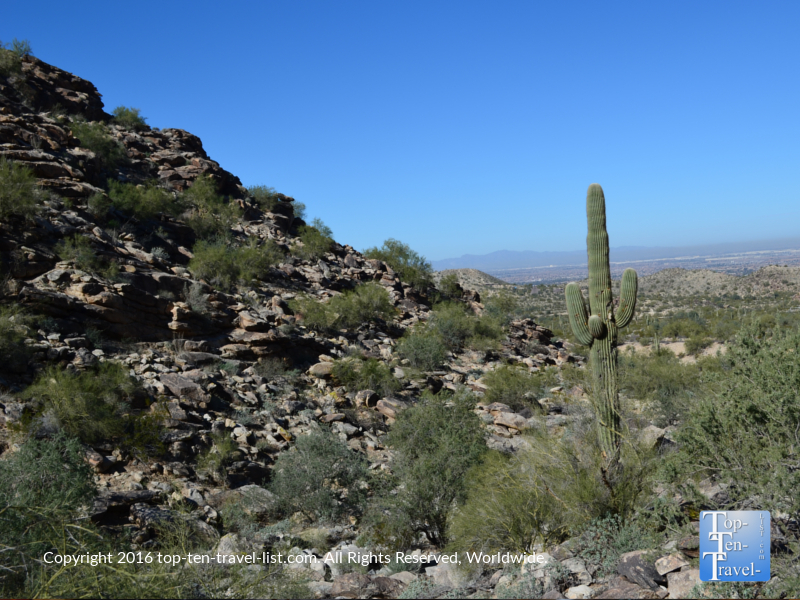 Although it’s one of the most popular hiking hot spots within the Phoenix metro area, it never feels overcrowded as there are just so many trails to choose amongst. Beautiful views of the skyline and mountain from the scenic drive up to the summit. Trails range from easy to extremely hard. A great option for beginners and anyone else who feels like taking it easy for the day with a picturesque, casual stroll through the desert is the Kiwanis Trail. This 2 mile round-trip journey through Snake Canyon offers great photo opportunities of the beautiful Saguaro cactus, decent views of the Phoenix skyline, and of course beautiful panoramic views of the surrounding mountains. 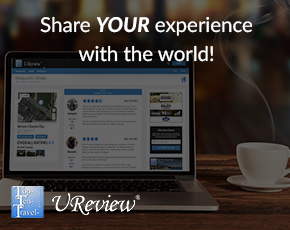 Remember to look back every so often, as the views can be dramatically different! A hint of the Phoenix skyline! 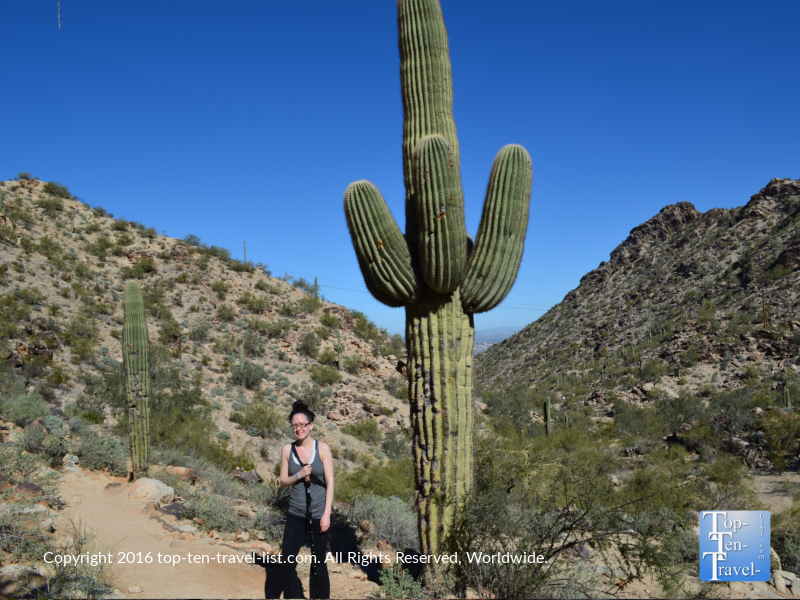 Standing next to a gorgeous Saguaro Cactus, the gorgeous plant which is exclusive to the Arizona Sonoran Desert. You will get in a good workout along the Kiwanis Trail, nothing too dramatic, yet enough exercise to feel like you did something. A portion near the end, going up and down staircases, will give your lower body muscles a nice little workout. As you can see, the trail is pretty flat and wide. This entire hike is very relaxing: an amazing rejuvenating experience in nature. It’s hard to believe such a magnificent natural place surrounds the hundreds of strip malls found scattered throughout the metro area. This place is so quiet: if you stop you will hear nothing but the sweet sound of silence. Even on a weekend morning, you will not see more than a handful of hikers. Not a single person in sight! 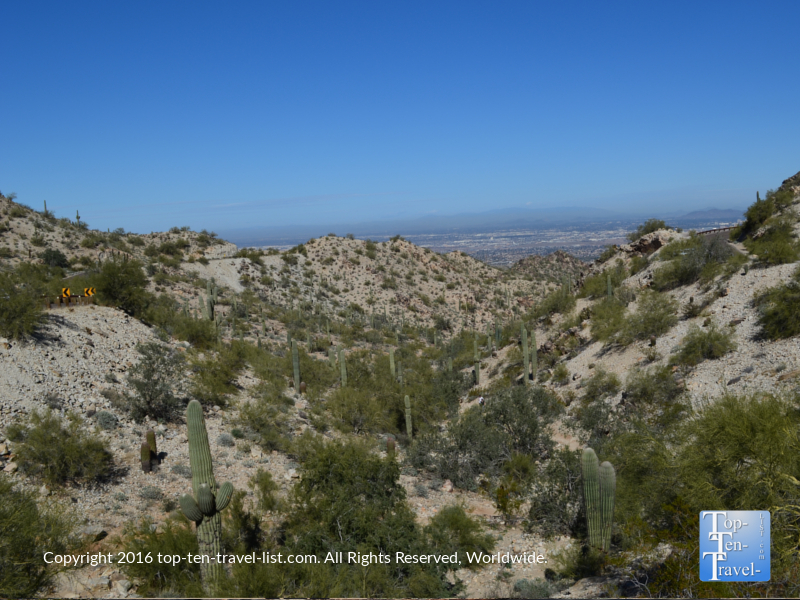 Just beautiful Saguaro cactus and peaceful mountain landscapes! Winter is the perfect time to plan a hiking adventure in Phoenix. During the day, temps are typically in the 70’s or so, a much more comfortable experience than hiking in the 100+ degree brutal summer months. 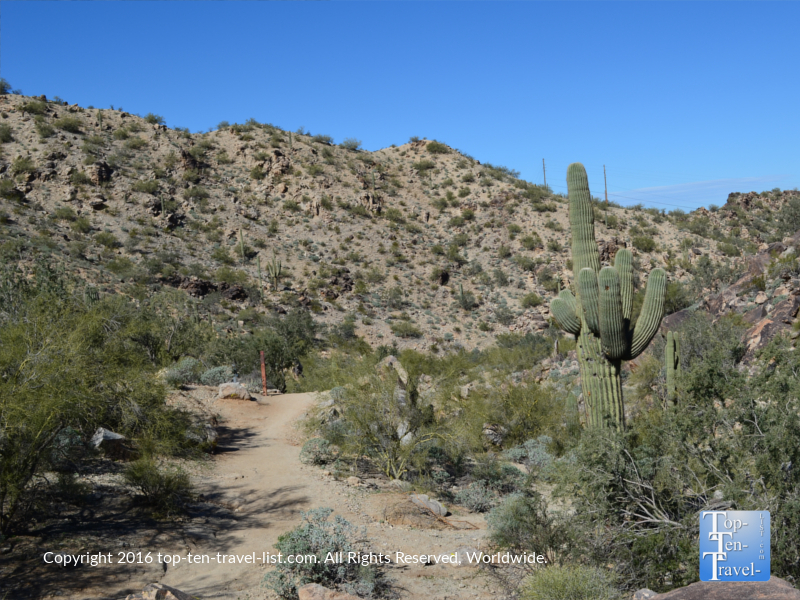 The Kiwanis Trail is just the perfect Phoenix hike: a nice casual workout, extremely peaceful without many tourist crowds, beautiful Saguaros everywhere, and gorgeous secluded views of the desert. 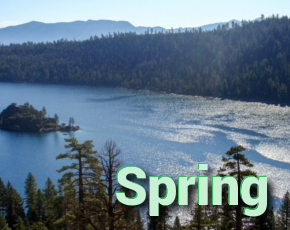 *Plan your hike early in the morning for cooler temperatures and less crowds. *Eat a full breakfast before setting out. *Bring lots of water. You are bound to get dehydrated, no matter how cool the temps seem. Also be sure to replenish electrolytes if drinking lots of water. *Bring your hiking stick. It will give you more traction on the downhill portions of the hike. *Don’t forget your camera. You can’t leave Phoenix without a picture of yourself next to a Saguaro! *Always bring a phone/tell others where you will be just in case. This trail is pretty well marked, so the chances of getting lost are pretty slim. *Watch out for cyclists and runners. You will see plenty out while making the drive to your trail-head. Sometimes, they can be hard to see due to the curvy roads, so keep your eyes peeled! *Take the scenic drive up the summit. The views truly are some of the best in the area. However, do not replace the hike with the drive! Get out their on your feet and explore nature! *And last but not least, plan a return hike on a more challenging trail! You can’t beat a day out in nature exploring rare desert plant life which you can’t see anywhere else in the world! South Mountain Park is located at: 10919 S Central Ave, Phoenix, AZ 85042. Check out the map at the ranger station for trail descriptions. If in doubt, there are plenty of rangers around to guide you in the right direction to your desired trail-head. There are no fees to park!